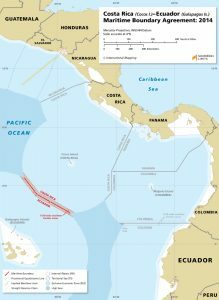 The maritime boundary between Costa Rica and Ecuador was established through a bilateral agreement that was signed in 1985 and an additional agreement that identified boundary coordinates in 2014. 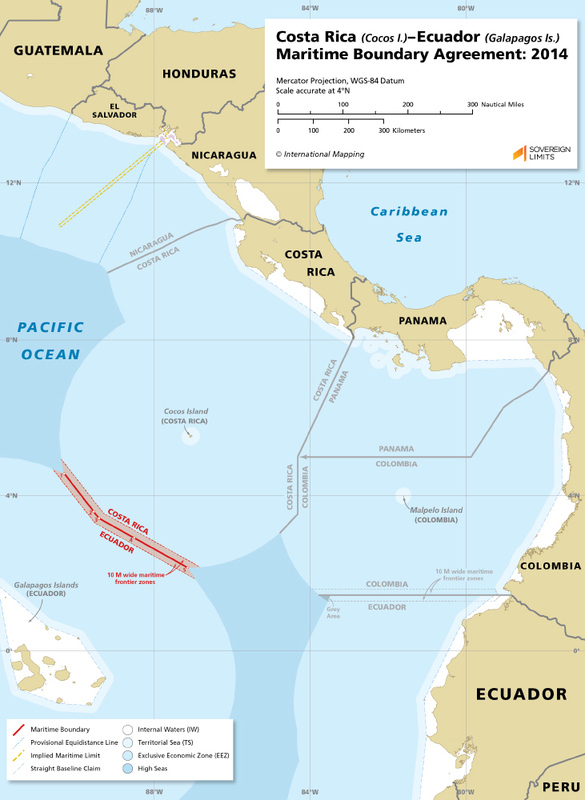 This boundary divides the maritime space lying between Costa Rica’s Isla del Coco and Ecuador’s Galapagos Islands. Neither mainland coast played a role in establishing the position of the boundary.